Holland Island is located in the Chesapeake Bay in Holland Strait, between Bloodsworth Island and Smith Island, six miles west of Wenona, Maryland. The island was once about five miles long and one and a half miles wide, and inhabited by watermen and farmers in a thriving fishing community. But over the decades, rising Bay waters and natural sinking of the land ate away at the island until it was nothing but a blotch of land in the sea. 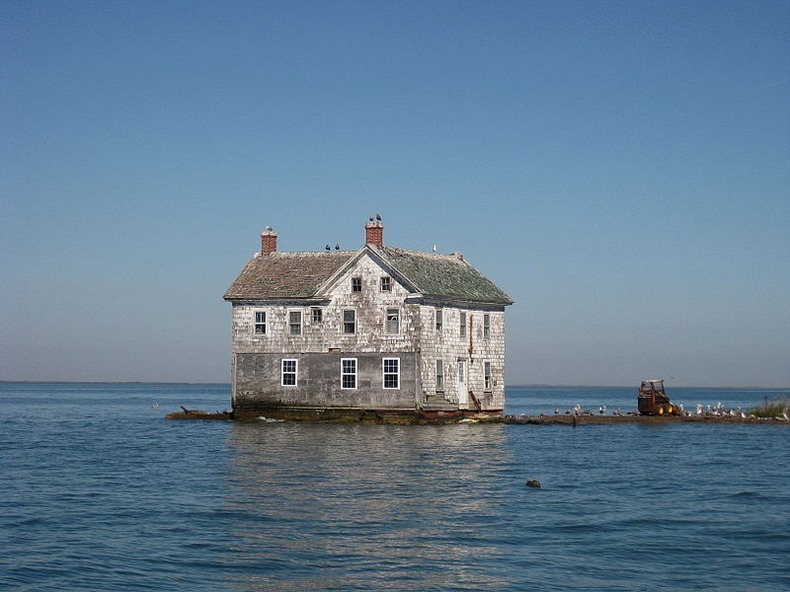 The last house on Holland Island stood defiantly for over century until its collapse in October 2010.